The Nashville workers’ compensation attorneys at Matt Hardin Law have extensive experience in personal injury law. Our legal team has helped numerous victims of workplace accidents obtain the legal relief they deserve. We are dedicated to helping you recover compensation for a job-related injury. Tennessee workers suffer injuries in all types of employment, from private industry and specialty trades to state and local government. The highest rates of injury often occur in the manufacturing, food service, and transportation industries. Employees report accidents that occur on the job as well as car accidents commuting to and from work. These accidents can lead to immediate injuries such as lacerations and broken bones, or to repetitive stress injuries like carpal tunnel. Repeated strain on the muscles and joints eventually takes a toll on the body and can exacerbate pre-existing conditions. Whether temporary or chronic, job injuries can mean missed work and, in some cases, may even be fatal. 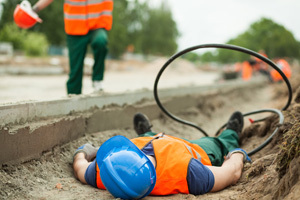 Workers’ compensation is awarded based on the type and severity of an injury. Common categories or recognized injuries include those that cause temporary, permanent, partial, or total disability. Employees are paid part of their average weekly wage until they can return to full or light duty. Workers’ compensation laws are complex and it is often difficult for claimants seeking benefits to secure the award they are due. State and local agencies see millions of applications each day and often deny their backlogged cases. Many matters need to be heard by an administrative law judge before reluctant employers and insurance companies are forced to pay. Experienced legal representation is necessary to file a successful claim for injuries and to protect the workers’ rights against opposing counsel during the trial or appeal. If you have suffered a workplace injury, contact the Tennessee accident lawyers at Matt Hardin Law. Our attorneys have significant experience handling both workers’ compensation and personal injury cases in Nashville and beyond. Whether you were denied coverage by your employer or benefits on your claim, we can help you succeed. Our caring attorneys have prevailed in claims and appeals for injured workers throughout Tennessee. Call (615) 200-1111 for a free consultation or contact us online.